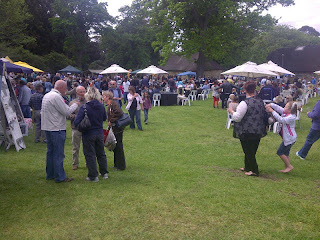 This was such a nice wine festival!! There were many wineries here from Swartland, so I was able to try lots of wine which I hadn't tried before. My boyfriend and I were pleasantly surprised with how many wines we liked at each wine stand. Babylon's Peak had some awesome wine!! 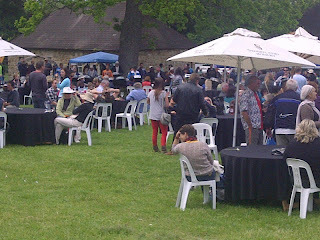 I loved the Chenin Blanc 2012 it was nice, crisp and light. Only R30 a bottle!! The Viognier/Rousanne 2011 had good body wirth tart citrus tones coming through. This wine is R70 a bottle. The Shiraz/Carignan 2011 was light and nice at R50 a bottle. The Syrah 2007 (R80) was lighter than the SMG. The SMG (Shiraz, Mouvedre, Grenache) at R80 a bottle was nice, smokey, and had balanced flavours. I really liked this wine also. We also enjoyed the wine at Nuweland. Juan Louw was there to promote his wine. We liked his Sauvignon Blanc 2012 at R48 a bottle, it had great body, flavour, was very nicely balanced and not acidic which I like!! 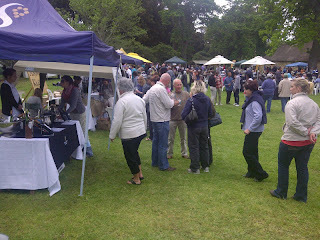 The Chenin Blanc 2011 was also a favourite of mine at only R40 a bottle. It also had great body, was soft and had great flavours! We also tried the Rooipad Cabernet Sauvignon 2011 at R65. This was strong in flavour and a little dry. We also liked this wine. The Tinta Barocca at R100 a bottle was really interesting in flavour and we also liked this wine. The Straw Wine Muscat Alexandri (honeypoot grapes) was R90 a bottle, I really liked this wine! I highly recommend coming to this wine event. It was a really nice way to spend the day!! 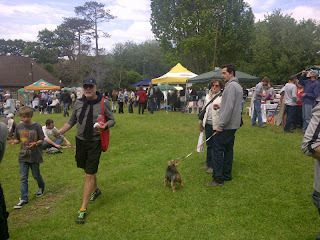 There were plenty of food stalls, olive and wine stands and there was live music which added a nice vibe to the event.